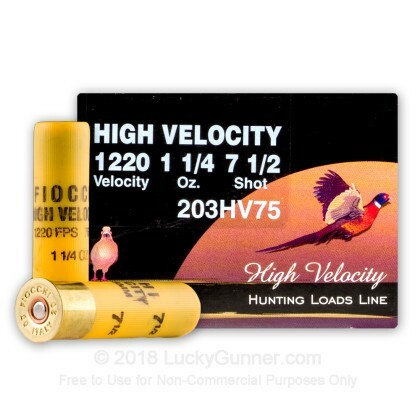 Load your 20 gauge shotgun with these #7.5 High Velocity shells on your next hunt to experience the tight, consistent patterns and hard hitting shot. 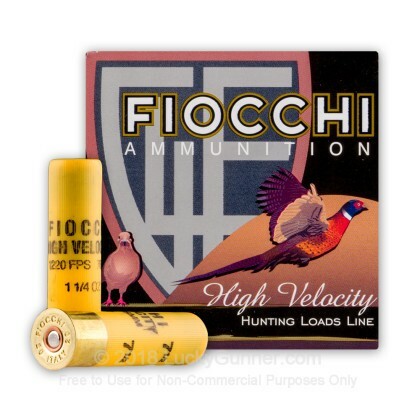 Fiocchi utilizes its experience in Olympic-grade target shell manufacturing to bring you some of the highest quality shot shells on the market! 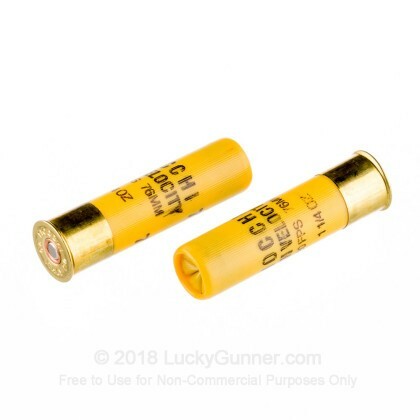 This 1-1/4 ounce 20 gauge shell is ideal for hunting small to medium game. I prefer to shoot an old school Browning A5 20 gauge Magnum in the Dove field. 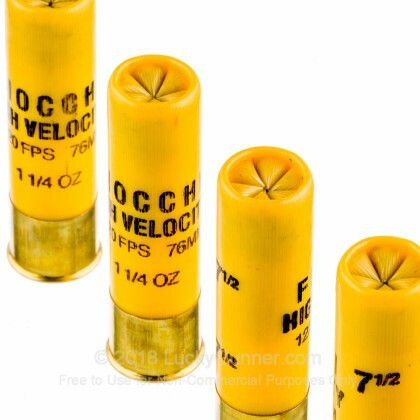 These shells really work great and will preform at maximum range. I am often told that other hunters find it hard to believe that a 20 gauge can be effective at such long ranges. Shoot 100 rounds in sporting clay tournament for children's hospital fund with 20 ga - 3" - 1 1/4 oz #7.5 - High Velocity - Fiocchi. 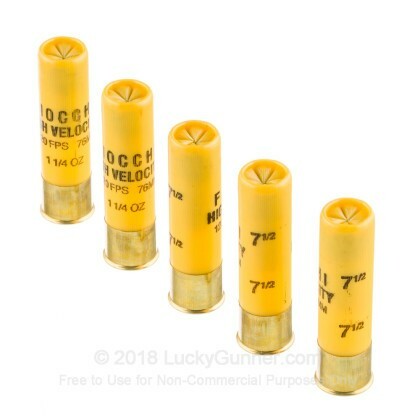 These shells worked great and can reach out for the long shoots. Would recommend to try. We also have this 20 Gauge - 3" 1-1/4 oz. 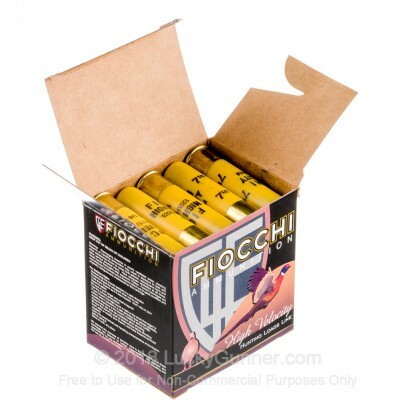 #7.5 - Fiocchi High Velocity - 250 Rounds ammo in stock in a bigger quantity.